Over 100 class and family sailing dinghies illustrated with photographs, dimensions, Class Secretaries, Portsmouth Numbers and sensible descriptions. The book includes both traditional and modern classes, family and racing boats available on the market today. Editorial features include advice on buying for the first time, learning to sail, and safety issues. Published in 2001 this book contains several dinghies no longer in production and so is useful in the second hand market. 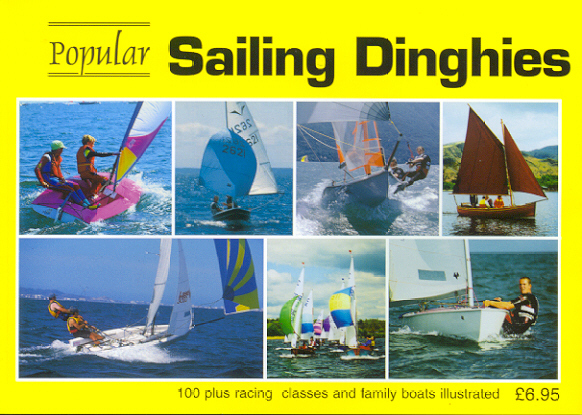 This is the fourth issue of this authoritative guide to dinghies in this format. We have been compiling dinghy guides like this since 1968. Illustrations: Colour Photgraphs of over 100 dinghies. Click here for our downloadable order form.